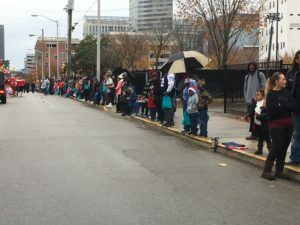 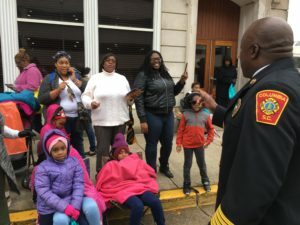 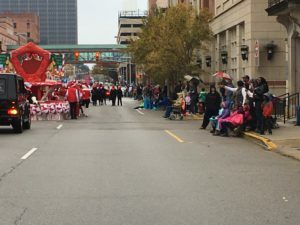 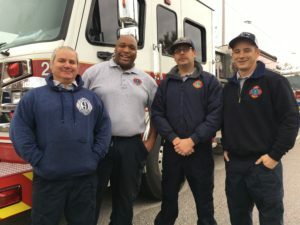 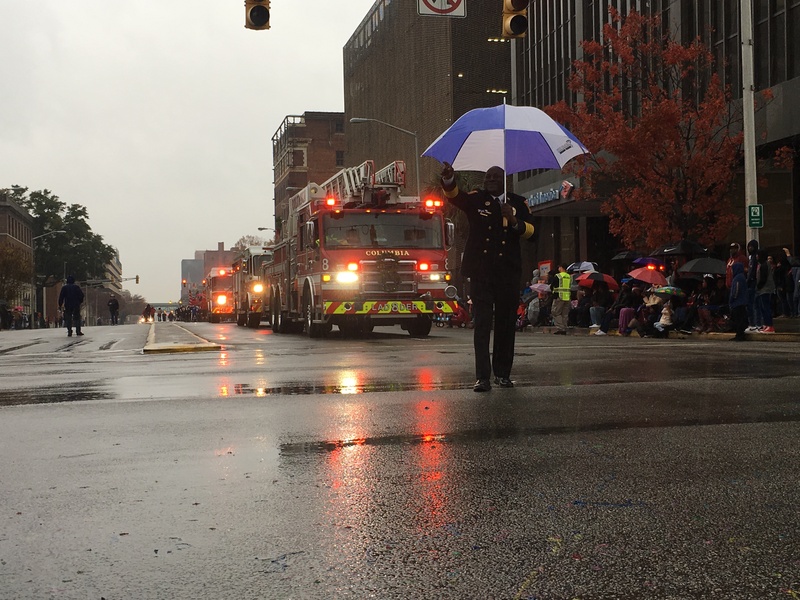 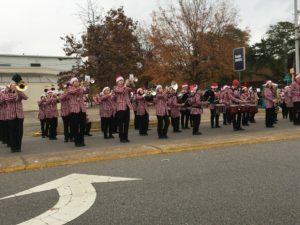 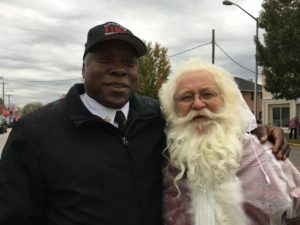 CFD was once again proud to take part in the annual Carolina Carillon Parade, which took place on Saturday December 1, 2018. 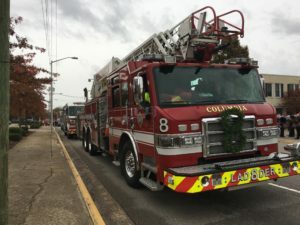 Third shift crews on Ladder 8, Engine 20 and Rescue 3 took part in the festivities. 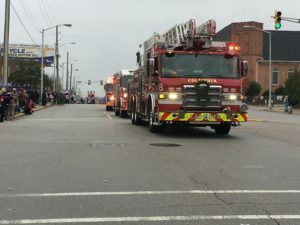 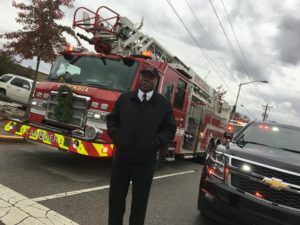 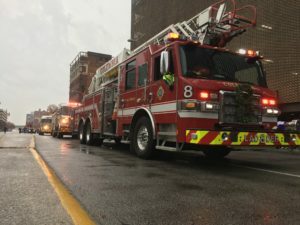 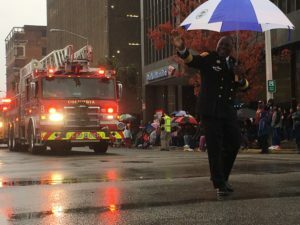 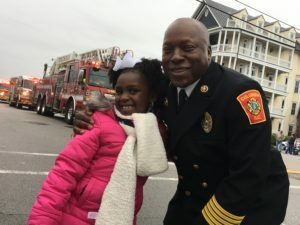 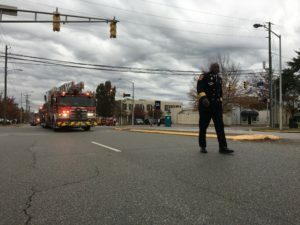 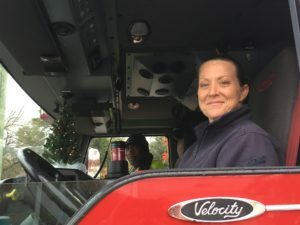 Columbia Richland Fire Chief Aubrey D. Jenkins led all three trucks down the parade route on Sumter Street going from Laurel Street to Senate Street. 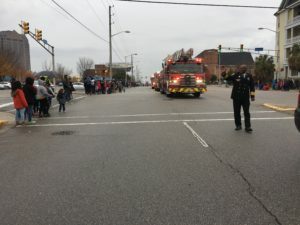 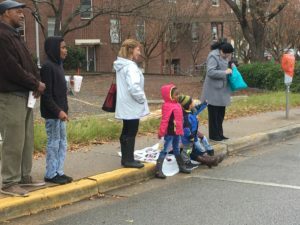 Other participants in the 2018 parade included area youth groups, public safety agencies and school marching bands.